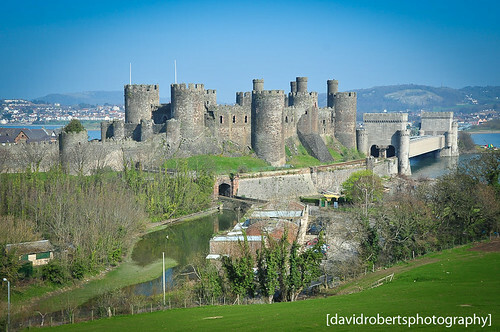 Looking across at Conwy Castle, a photo by [davidrobertsphotography] on Flickr. I took advantage of the wonderful weather today to have a wander around Conwy. Climbed up the hill to capture this image of the Castle.